A gallery wall for a room is like a pair of shoes for an outfit in that it changes the overall feel and personality of the look. Your space can develop a certain flavor by altering what you choose to display in your gallery and how you decide to hang the pieces. Here are 6 of our favorite gallery walls and a why we love them. 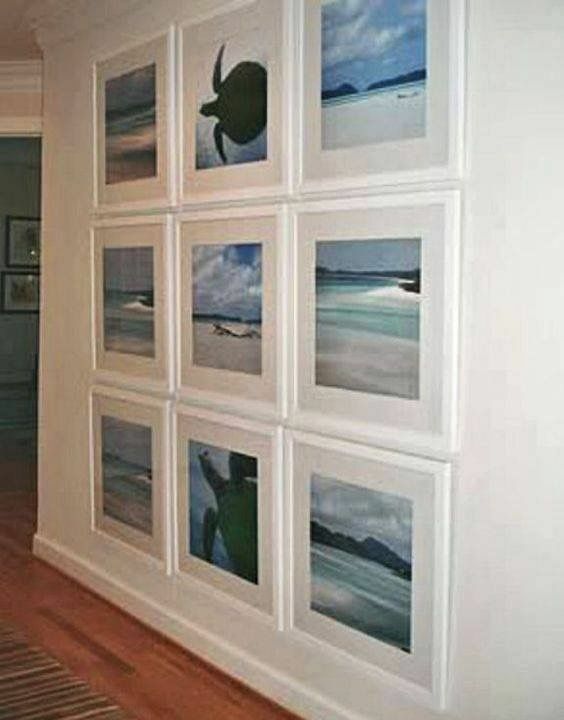 ​This is a classic grid-style gallery wall with a twist. Uniform sizes and frames are easy on the eye while the extra large mats around the art create an amazing statement. ​This eclectic mix lengthens the space, bringing the eye up to the ceiling and down to the floor with a continuation of the gallery wall in a few leaning pieces. ​Choosing white frames and matching mats on a white background allow the photos to take center stage without overpowering. ​This gallery wall shows us that it’s ok to break the stereotypes and think outside of the box. ​So creative! This gallery wall reminds us to tell a story and have a little fun doing it. ​A gallery wall can bring just the right amount of colour into a space. Keeping the mats and moulding in the same colour for each piece creates balance while energizing.